Dual purpose furniture offers a simple way to save space, while also helping you create a home that is modern and stylish. Rather than investing in multiple pieces, you can choose a few pieces that are able to perform double duty as the need arises. Whether furnishing your first home, planning a new look for the year ahead or simply considering ways to maximise your smaller home, dual purpose furniture is a contemporary solution that offers numerous benefits. What makes dual purpose furniture a must for the modern home? For starters, here are a few of the ways that this type of furniture helps you make optimal use of a smaller space. It reduces clutter in small spaces. One of the biggest challenges to keeping a smaller space tidy is avoiding cluttered surfaces. Even the most stylish of small spaces will quickly start to look cramped when surfaces are not kept clear. Adding additional storage is not always a viable solution, either, especially if it further adds to the clutter. 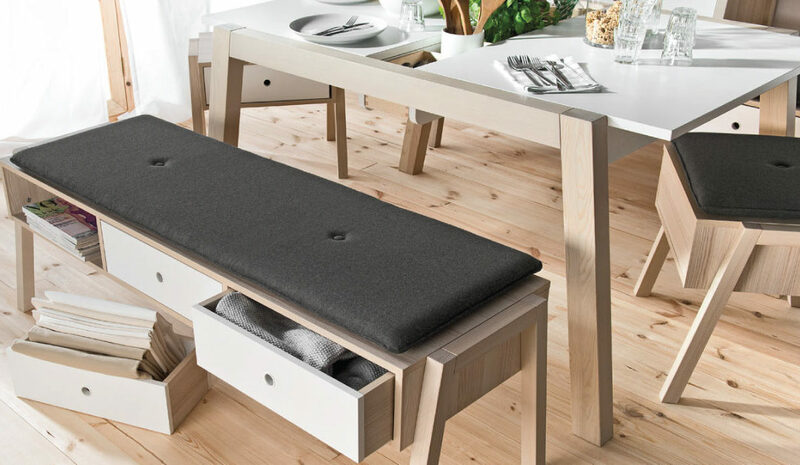 Furniture that features hidden storage compartments offers a smart way to reduce surface clutter, without taking up extra room. Whether you are furnishing a studio apartment, tiny cottage or cramped bedroom, the less clutter that is in sight, the larger the space will appear to look. It maximises the space you have. Rather than working with the space you wish you have, it is always wise to use the space you have. Another way that double duty furniture can help in a smaller home is that it makes clever use of space. Slim-lined shelving units, for example, can easily fit into an awkward corner that may not accommodate a full sized unit. Pull-out couch beds can easily function as day beds when not in use, without taking up any more room than needed. All-in-one bunk beds that incorporate desks, beds and storage will easily fit into a small room, leaving floor and wall space. It creates a seamless flow. Along with making smart use of available space and keeping clutter down to a bare minimum, dual function furniture can also help to create a seamless flow within your home. This type of furniture is especially useful in homes that have a combined living and dining area, with open-plan kitchens. Look for furniture that can easily be adapted with a quick shift or turn, such as tables that extend or shelves that offer hidden compartments. One example of how this flow is achieved is the Spot Extendable Dining Table. 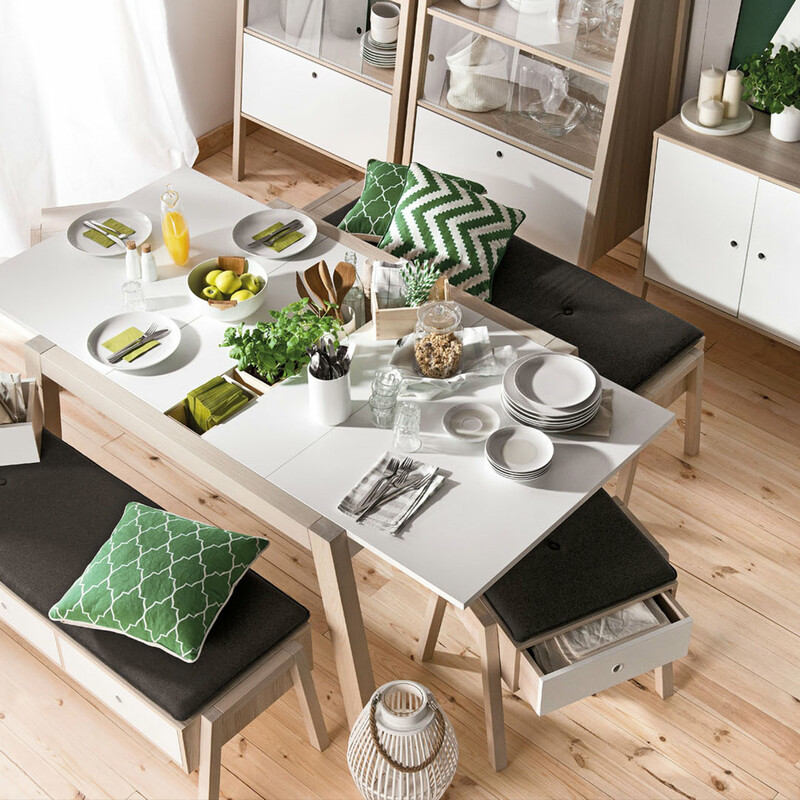 This table folds out to accommodate your needs, with optional drawers that further enhance the fuss-free dining and entertaining appeal of this table. When extended, hidden slots are revealed, which can be used to store cutlery and other items. At VOX, we offer a wide range of furniture to suit your requirements. Browse our full collections to find dual furniture and other home essentials that enhance your space.